A bill allowing Illinois to compete with neighboring states by again growing Industrial Hemp was signed into law by Governor Bruce Rauner on Saturday. Senate Bill 2298 was sponsored due to general declines in agricultural commodities in recent years. Supportive groups, including the Illinois Stewardship Alliance, believe industrial hemp could help farmers supplement any losses they have incurred. Industrial Hemp is a different plant variety than cannabis which is harvested to produce Marijuana. Industrial Hemp growing was a staple industry in Illinois, and especially Central Illinois, several decades ago. 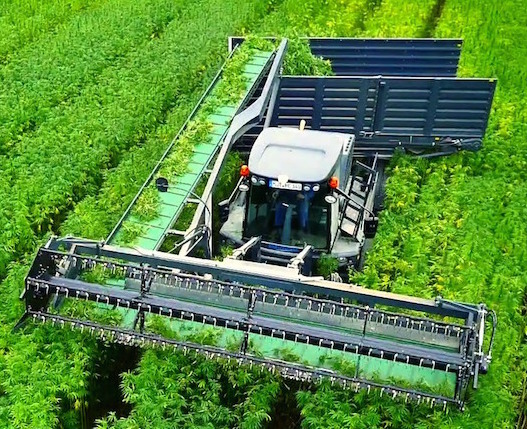 Under current federal law, states can enact industrial hemp laws if the plant is grown for purpose of study, and those growing the hemp be licensed by the State to do so. “This allows our agricultural community an additional, diversified crop and many other business opportunities throughout Illinois,” Swanson continued.